Home Sport Is the 3G pitch just a novelty? Is the 3G pitch just a novelty? It has been seven weeks since the official opening of Lancaster University Sports Centre’s Third Generation (3G) Pitch and despite delays to the surface’s construction, the introduction of a new pitch was widely anticipated. However, since the opening, it hasn’t all been plain sailing. The 3G pitch is an artificial surface – a mixture of artificial grass and the traditional surface of Astroturf pitches – and is also fully floodlit and fenced off. By using a drainage system similar to that of the existing Astroturf pitches, the 3G surface is able to absorb overnight rain and Lancaster’s heavy downpours, enabling the pitch to still be playable in whatever weather northwest England throws at it. The introduction of an all-weather surface is designed to improve the condition of other pitches and ease the congestion for playing space due to bad weather postponements, a problem particularly faced by the College Football League. According to figures provided by the Sports Centre, the breakdown of usage of the 3G pitch is British Universities and Colleges Sports teams: 40 per cent; College teams and the new Just Play scheme (including training and league matches): 51 per cent; and other (including University staff usage and outside customers): nine per cent. Impressive statistics when considering that students take up 91 per cent of the usage of the state-of-the-art facility. With the playing space in such high demand, regardless of a £6 increase in price to hire the pitch for all users, you would expect the use of the surface to be highly organised and maximised to its full potential. Yet this hasn’t stopped problems having plagued it in the last few weeks. One Cartmel versus Pendle B league football match was, on arrival at the pitch, found to have been double booked with a non-University associated children’s match. Instead, the B league match had to be moved to another pitch, one which is much narrower than it should be due to the positioning of the new 3G facility. Cartmel Football B Team Captain Matthew Acs told SCAN that the referee knew nothing about the situation and he hasn’t heard anything from LUSU since. He expressed that the narrowness of the pitch that the match had to be moved to makes it a terrible football field and a challenge to play on. There have also been similar oversights. For example, early on in the season, the pitch gates were found to be locked at times when the pitch was supposedly booked to be used, leading to a delay in the start of matches. Although it is unclear whether this was the fault of the organisation of LUSU or the captains, this is clearly an issue which could have easily been avoided. 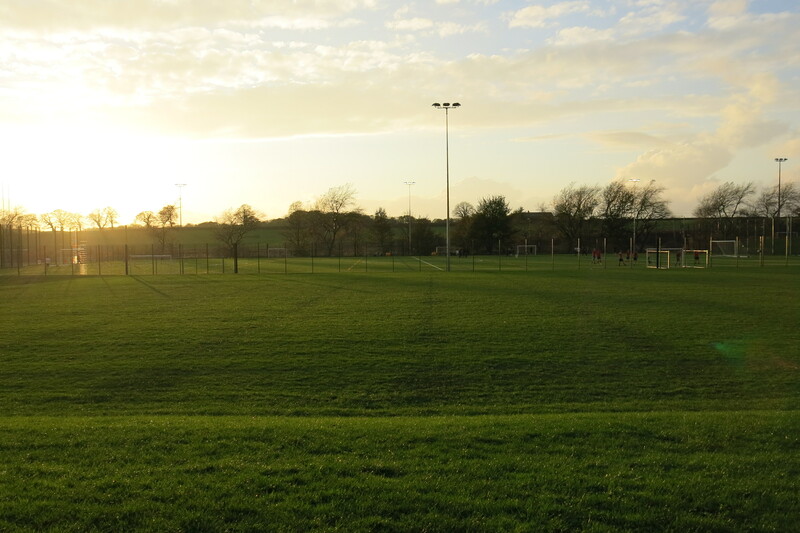 Sometimes, teams playing at the weekend have also been told that the floodlights on the new pitch must be turned off at 6pm on a Sunday, as that is when the Sports Centre officially closes. However, there are still University teams training in the Sports Centre after 6pm on Sundays despite its official closure to the public. So if this is the case, why can’t University teams still use the new playing space at this time? Surely this would help to maximise the pitch’s usage. However, despite the minor problems that the pitch has faced in the last few weeks, it has also had plenty of benefits. Jonathan Eldridge, Cartmel Football A Team Captain, describes how “in terms of keeping the playing surface relatively smooth on the rest of the grass pitches, it has worked quite well – and the 3G pitch is much more preferable to play on.” The 3G pitch has come as a relief to the University and College teams, allowing less congestion around waiting for playing space, with Lancaster’s incessant rain no longer posing such a challenge for the teams or a threat to finishing leagues. The rise in price of £6 for the use of the pitch doesn’t seem a problem either, with the increase in surface quality compared to the other pitches far out weighing the rise in price. Clearly the 3G pitch has been a smart investment for the University, and once a few minor glitches have been ironed out, in the long run, it will be a great asset to the University’s sports facilities.